Many of us think of learning as an action, something an individual does. But what does learning mean? How does learning differ from knowledge? How do we manage knowledge and organize learning? What, exactly, is the role of organizational learning when it comes to facilitating change and innovation? Well, one question at a time, we’ll address them to discover exactly how an organization can learn. As theory and practical skill tests continue to show, formal education and non-formal training do not necessarily result in learning. When we plan for training, the goal is to facilitate learning. Learning, in this case, is defined as when participants gain new insights and modify their behavior or actions based on those insights. Many training courses focus on individual learning. They assume that the individual takes their learning back to work groups, and across the work group the knowledge learned spreads to the whole organization. In contrast, a good designer of education and training will carefully plan to engage learners, help them apply material in training programs, encourage supervisors to reinforce material, and provide the follow-up coaching. Research shows that good instructional design elements help ensure the transfer of training into learning. But since training only represents 10% of the total learning in an organizational setting, one should consider all of the methods in which learning occurs. Most people learn informally and incidentally, such as when someone looks something up on the Internet, talks with a co-worker at the water-cooler, or engages with a colleague in the hallway. Most of the time, learning occurs throughout the day as we “tuck away” these little nuggets of information bit-by-bit and encounter-by-encounter. The accumulation of our learning is knowledge. The brain stores knowledge, and every day that knowledge in the brain is shared—in conversation, in reports, in conferences. The more knowledge stored in the head of an employee, as opposed to documented in writing and safely stored, the more that knowledge is at risk of being lost to an organization. It has been reported that 85-90% of an organization’s assets walk out the door each evening—that is, the employees. As long as employees come back the next morning and continue to share their knowledge, all is well. But what if they don’t come back due to sickness or a better job? The proactive management of cumulative knowledge in an organization is known as the new field of “knowledge management” (KM) in the last two decades. Peter Senge, of the MT Sloan School of Management, popularized the concept of the learning organization—a vision of a firm where employees adeptly create, acquire, and share knowledge. 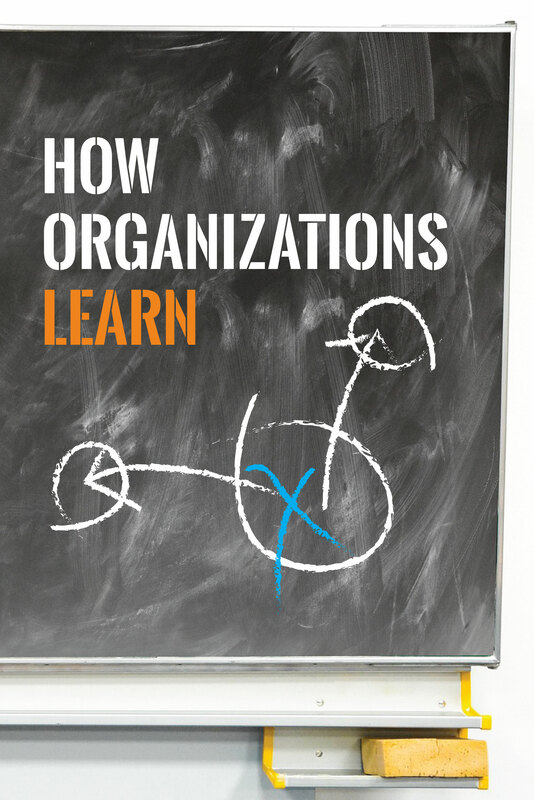 Moya Mason, citing the Navron Associates Newsletter, defined a learning organization as “one that seeks to create its own future.” The learning organization includes tolerance, diversity, open discussions, and holistic thinking. This results in increased adaptability and transformational operations. Gavin, Edmonson, and Gino describe three building blocks for creating a learning organization: firstly, a supportive learning environment, secondly, learning processes and practices, and thirdly, leadership that reinforces learning. A supportive learning environment includes the security to experiment, ask questions, and voice differing viewpoints. It truly appreciates differences and new ideas, taking risks and exploring the unknown, and having time for reflection. Employees require time to pause from deadlines and project pressure to think creatively and thoughtfully. A learning organization considers learning processes and practices as an important business system. Processes such as post-audit reviews on projects, review of process flows, and diagnosis of workflow challenges increase the likelihood of process improvement and innovation. By documenting learning processes, the organization can continue to build upon its knowledge base. Leadership is an integral building block that reinforces learning and the role of learning in an organization. Leaders engage in active reasoning and look at issues from different viewpoints without judgment. A good leader can, in this way, model and reinforce a learning culture. Of course, there is no “one size fits all” approach to leadership. 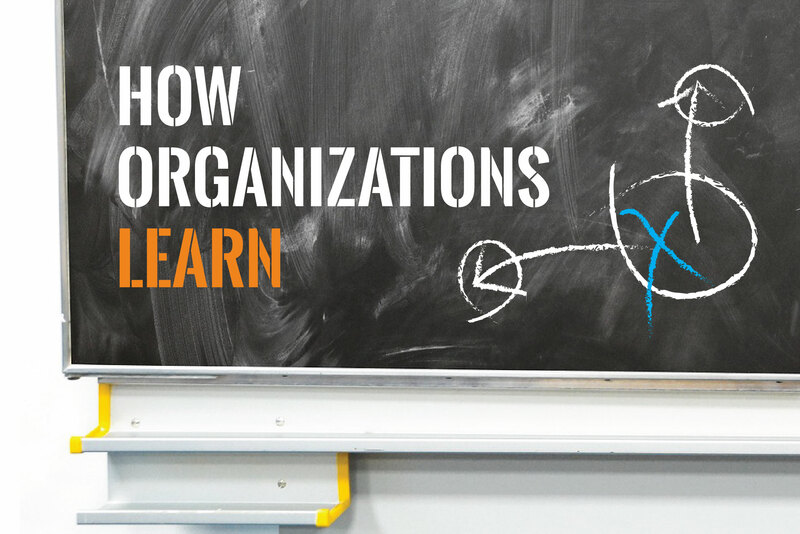 Organizational learning and change occur at different speeds due to a myriad of factors like trust, flexibility, and the organization’s culture of learning. A little known entrepreneur known as Bill Gates once said, “In three years, every product my company makes will be obsolete. The only question is whether we’ll make them obsolete or somebody else will.” American business history contains many stories of great products and companies that simply did not adapt to the changes in the marketplace. Kodak was slow to make its own products obsolete, and its competition stepped in and gladly alleviated that burden from them. Kodak’s struggles are well-documented as disruptive technology in the form of digital cameras killed off Kodak’s 90% share of photography film sales and 85% market share of camera sales. Stata argued “the rate at which individuals and organizations learn may become the only sustainable competitive advantage, especially in knowledge-intensive industries.” Change and innovation require ongoing learning in an action research model—research, plan, do, evaluate, rinse and repeat. Stata asked the questions that each proactive organization ponders: “Are we learning fast enough? Or will one of our competitors, either here or abroad, learn even faster in the future?” A learning organization proactively creates learning processes and procedures for capturing, storing, and providing access to knowledge. A recent Training Industry promotion stated, “The future business will require organizations to think digitally, share openly, work fluidly and move quickly.” Are you ready to write your future? You write:…..”and providing access to knowledge”. Are you saying that providing access to information, once consumed, leads to knowledge? You are assuming understanding of the information, and the practical application if it to situations that may arise. Is there a correlation between information and training that leads to the knowledge and resultant ability for problem solving? The ability to solve problems is not the same as having the relevant knowledge. Problems, challenges and even the future have more than one layer. They are like a Bill of Manufacturing; not only is there material, there are also labour and overhead. Would it not be better to teach problem solving which leads to the information needed to do it. This leads to the building of layers of knowledge discovered through the process of learning how to solve particular problems or challenges……like staying ahead of the competition. Then, there’s the school of thought: “Learn only what is currently necessary.” Or: “If you have a dog, don’t bark”. But, then we have to ask: Why”? Why is it important that I learn all this stuff? Will my life end if I don’t? Probably not. Thank you, Brian, for your comments and questions. I did not mean to imply that information “consumed” leads to knowledge. I agree with you that information must be understood and applied. When we learn something helpful and want to save that information and share with others, we may store in a knowledge database, such as a Question and Answer space, or a Help Center database. I am not aware of research showing a correlation between training and information which leads to knowledge, that then leads to increased problem solving ability. I agree that in today’s fast changing world, knowing how to learn, or solve problems, is more valuable than stockpiling information (that becomes out of date as new data is discovered). Action learning (or Action Inquiry) is an excellent way to solve specific problems through a systematic process of gathering data, analyzing it, determining the need for additional data, taking action, evaluating the action and its results, and continuing through the process in an iterative fashion. Action learning and informal work group learning can be considered “just in time learning.” We are more likely to learn when we see the need to solve a problem (which could be curiosity) and can apply what we have learned. Thank you for your engagement with my blog and let me know if you have other questions. Thank you for your reply. I really enjoy your the train of thought presented here. To show that “possibility” is a possibility; to create a moment of significance after which nothing can be the same. By this I mean to show that a solution exists and leave it up to the learner/student to act on that knowledge. Will they use the knowledge to learn how to solve the problem, or ignore the knowledge and continue to suffer? The paradox of humanity. B. Thank you, Brian, for sharing your thoughts on this. Ultimately, the learner holds the power to engage or not, and to act or apply knowledge or not. Facilitators, coaches and mentors are valuable in giving us that little push (or bigger push sometimes) to move us forward. Have an awesome week! Thank you! Glad you found value in the article.